The life of a quiz writer and reviewer!!! So many books!! So many genres and styles. I start to think if quizzes for review books sometimes. And @natashaexelby27, no coriander involved in any of these books. 😂😂😂or my dinner tonight. Morrigan Crow may have defeated her deadly curse, passed the dangerous trials and joined the mystical Wundrous Society, but her journey into Nevermoor and all its secrets has only just begun. And she is fast learning that not all magic is used for good. Return to the magical world of Nevermoor! Morrigan Crow’s perilous adventures continue in the most anticipated sequel of the year, a treat for all fans of magic and Wunder. Morrigan Crow has escaped her deadly fate and found a new home in the fantastical city of Nevermoor. She has also discovered that she has a strange and magical ability. But will her unique talent be a blessing or another curse? Now that Morrigan and her best friend Hawthorne are proud scholars in the elite Wundrous Society, she is sure that she’s found a place to belong at last, but life is far from perfect. Can Morrigan prove that she deserves to be in the Society – or will an unexpected new enemy ruin her new life? Morrigan Crow’s journey began in Nevermoor, where she was whisked away from the Wintersea Republic on Eventide, the day she was destined to die, by Captain Jupiter North, whose red hair and flashy clothes were, and still are, in stark contrast to the black clothing donned by our heroine. Released exactly twelve months and twenty days after Nevermoor: The Trials of Morrigan Crow, Wundersmith: The Calling of Morrigan Crow picks up shortly after the first book, with Morrigan (Mog to Jupiter North), living at the Hotel Deucalion with its rooms that change depending on what you need at that moment, and the vampire dwarf, Frank, causing mischief and planning epic parties – this time to compete with a new hotel nearby, which is all in good fun amidst Morrigan’s acceptance into WunSoc, and her unit, Unit 919. Accepted by Hawthorne and Miss Cheery, Mog must work to earn the trust of the rest of her unit, as she grapples with her newfound identity as a Wundersmith, and she must fight all the prejudice flung at her because of it, and show everyone that there are good Wundersmiths, that they’re not all like Ezra Squall, who is trying to get back into Nevermoor. As Morrigan starts her classes – at first, dully with only one class, referring to an abridged edition of the history of Wundersmiths, with a wuntortoise as her teacher – Professor Onstald – and gradually gaining a second class where she discovers the world of Nevermoor and all the sneaky, secret streets that lead to dangerous places like the Ghastly Market, or have rather unpleasant results, like vomiting everywhere. Despite this Tricksy Lanes, and their more nefarious relations, Morrigan finds herself in all sorts of trouble with Ezra Squall as Jupiter is called away more often, to the point where she fears she will have to leave WunSoc and Proudfoot House, but Morrigan will come to learn that loyalty and choice are what will make her the Wundersmith she is, and it is her loyalty to those who are around her in Nevermoor that make her a wunderful character. As she ventures into the world of WunSoc, along with readers, things are not always as they seem, and there are threads and hints at certain things that are so subtle, the impact their reveal is given is magical and powerful. I’ve been with this series since the first book came out last year, and it is absolutely delightful. Filled with everything from snarky cats to best friends, magical doors and rooms that change the type of bed you have based on what you need, I enjoyed my latest stay at the Hotel Deucalion, and spending time with Fen and Jupiter again. Fen is a character who doesn’t hold back, she tells it like it is. She is one of those characters who you really want to get behind and cheer on because, well, she’s magnificent and even though she’s full of snark and sarcasm, she truly cares for Mog and Jupiter. Like many fantasy series before it, this series begins with an orphaned, or unwanted child, living a rather mundane experience until someone – in this case the enigmatic Jupiter North, arrives to whisk Morrigan away to a new, colourful world of magic and wonder, where good and evil fight each other and dastardly people lurk in the shadows, trying to disrupt the lives of those wanting to get by in Nevermoor peacefully. And, like in similar series, the threat of Squall will grow until a face-off – but the execution of Morrigan’s journey is as unique as every other story in the same genre. What Morrigan has to do is and will be unique, she is unique, and she shows people that they can overcome the bad things and shows that just because a certain fate is ascribed arbitrarily to you, it doesn’t mean you have to fulfil this fate. You can change it, and with Jupiter and Hawthorne’s help, that is just what Morrigan does. Morrigan and Hawthorne are the heroes and friends we need – loyal, not perfect, and willing to learn from mistakes. Hawthorne’s loyalty to Morrigan, following certain events that turn the rest of their unit against her, and his willingness to do anything he can to help his friend, are what make him one of my favourite characters. There is nothing Hawthorne wouldn’t do for his friend, and I absolutely loved that. The entire book from beginning to end is amazing, and fits in so well with the previous book, naturally, and gives a deeper look into the characters, but still with enough mystery to ensure there are secrets to come out in later books. I look forward to the continuation of this series, and where Mog goes from here. 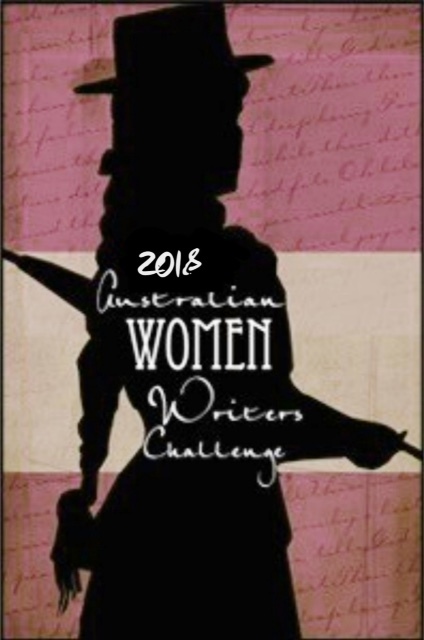 2017 was the first year I took part in the Australian Women Writer’s Challenge, and it was the sixth year it has been running. Keen to read more Australian Women Writers and raise the profile of our wonderfully talented female authors, I signed up in early January 2017, as a way to keep myself occupied whilst building my blog, and to read more local literature. To start, I initially made a list of books I wanted to read, including The Beast’s Garden (a re-read that I never got to), anything new from Lynette Noni and Sulari Gentill, a couple of books I had obtained over Christmas, and A Waltz for Matilda by Jackie French. This list was my base, and from there, within the first month, I had completed my goal with the entirety of The Matilda Saga by Jackie French, and several review books that weren’t quite my style, but that I passed on to those who did enjoy them. From there, many of the books I read were review books from publishers, all genres, growing my list substantially, so I had more than doubled my initial goal by April of the year – perhaps even tripled it by then. So I kept reading, devouring fantasy, historical fiction and crime as my favourite genres for the year. Three of my favourite authors – Kate Forsyth, Lynette Noni and Sulari Gentill released new books this year, all read and reviewed. I was lucky enough to participate in a series of reviews to celebrate the 100th anniversary in 2018 of Snugglepot and Cuddlepie, and discovered a new favourite author, Jessica Townsend, author of Nevermoor. Book two will hopefully be out in 2018 and it is one I am eager to read when it does come out. I pledged to read six and review at least four books – Miles level. However, as is evident by the list below, I far exceeded that, reading and reviewing fifty-five books in total. I have no plans to purposely surpass this next year, though if I do, it will be a lovely surprise and an accomplishment for me. I have linked each review in this post as well so clicking on a title will take you to that review. Bring on 2018 and many more reads! In my third wrap up post for 2017, I am looking at my favourite reads of the year. Over the past twelve months of reading so many books, narrowing down my favourites has been quite hard. There are definitely a few that stick out, though. Deciding how many to include in my favourites for the year was a challenge as well. Three wasn’t enough, five barely covered them and ten seems like the next logical number. However, when it came to ranking the books I chose, I found that it was impossible to do so, because I loved them all equally and for different reasons, so to place one book ahead of another didn’t feel right. With a goal of at least ten favourite reads, more if I need them, I have compiled this list. I have listed them as I thought of them, and linked my review. My one stipulation was that the books on this list had to be published this year. I settled on … books in the end, as these were the ones that really stood out to me as exceptional for a variety of reasons. Nevermoor by Jessica Townsend – a debut Children’s and YA novel about a cursed chid,Morrigan Crow, who is whisked off to the Wundrous land of Nevermoor to compete for a chance at a place at the academy there, and to escape the death that all children born on Eventide must face at the age of eleven. It has been compared to Harry Potter, and it has that some wonder and magic of the Harry Potter series. With book two out later in 2018, I am anxious to find out what will happen to Mog, Jupiter North and Fen the cat, who became my favourite character rather quickly. I devoured it in two days, and look forward to reading it again. Facing the Flame by Jackie French – the seventh book in the Matilda Saga takes place a few years after the solemn end of If Blood Should Stain the Wattle. Jed Kelly is getting married, and is going to have a baby. In the final days of her pregnancy, Jed must run from the fire and an old adversary to save her life, and her baby. As the fire closes in on Gibber’s Creek, lives will be lost and found, and Jed’s world changes forever. The Matilda Saga is one of my favourite series, and with a new book out each year, I look forward to reuniting with the families of Gibbers Creek each December. of events in the story, rather than driving the plot. It was a good read, and definitely one of my favourites. ho inspired the words and paintings of their husbands and lovers and fathers, and what they contributed. In a world where women were expected to raise children and run a household, the Pre-Raphaelite women did this and inspired the men in their lives, and some even contributed their own artistic talents to exhibitions. Exquisitely told, with the flaws as well as the strengths present, Kate Forsyth is a master at telling the little-known stories of women in history, and bringing historical characters such as Lizzie Siddal to life with her words. A Dangerous Language by Sulari Gentill – another author whose books I eagerly await each year is Sulari Gentill, primarily her Rowland Sinclair series. Eight books in, and poor Rowly keeps finding himself in the wrong place at the wrong time, getting embroiled in murder and mayhem, and involved in the left side of the political spectrum, far from what his brother, Wilfred, wishes he would do. Several months after the total destruction of his Mercedes in a race that almost claimed his life, Rowland is car shopping in Melbourne with Milt, the Jewish Communist poet, and Clyde, a working-class painter, for a new car. On the drive back from Melbourne, they stop in Canberra, where a Communist is murdered, and soon, both Rowly and Milt find their lives in jeopardy. Set in the 1930s as worldwide political tensions lead to the rise of Hitler and the lead up to the devastation of the Second World War, each book gets more political, and Sulari manages this with great skill, ensuring an engaging series that I feel gets better with each book. Into the World by Stephanie Parkyn – Another historical fiction novel by a debut Australian female author, and another book I read as part of the Australian Women Writers Challenge, as all the books so far have been. Set during the French Revolution of the 1790s, Marie-Louise Giradin leaves her son with a trusted friend, and, disguised as a man, travels on a journey to find La Perouse, lost at sea in the Southern Oceans around the newly colonised Australia. Her journey takes her to Tasmania, where the stories she has heard are far from the truth of what she sees here and on stops along the way, where she tries to speak out, horrified when she sees the slave trade in full swing. It is a journey that is full of surprises – where Marie Louise and the crew find that they may never reach the shores of their beloved France again after Louis XIV is beheaded. It was delightful to read a novel where the woman’s primary role was one of strength and courage, and where women were shown to do things beyond what society expected them to do. A great story, and an enjoyable one. Draekora by Lynette Noni – Returning to Akarnae and its world each year is a pleasure Set just after the events of Raelia, Alex, Bear and D.C. must find a way to save Jordan, who has been Claimed by Aven, the Meyarin Prince who seeks to reclaim their world at any cost. Sent to Meya, and thousands of years into the past, Alex must find a way to get back, and complete her testing and training before she can face Aven. In this fantasy series, each book has been engaging and enthralling, with a strong focus on friendship as the primary relationships in the novel. With Graevale out in a matter of months, this is definitely making my list of favourite books I have read this year, and I am looking forward to Graevale. The Strange Disappearance of a Bollywood Star by Vaseem Khan – Up until now, each book has been by an Australian female author, and mostly fantasy or historical fiction. The Baby Ganesh series is set in Mumbai, and revolves around a private detective, Chopra, investigating crimes with his trusty elephant, Ganesha, who loves Cadbury’s Milk Chocolate. The pair often insert themselves into investigations, much to the dismay of Chopra’s formidable wife, Poppy, and end up getting into scrapes that young Ganesha manages to get them out of. In the third book, a famous Bollywood star has gone missing, and Chopra and Ganesha are on the trail. A few rough turns take them to unexpected places, and with an ending that was surprising this series has a character to it that few I have read do. The Bedlam Stacks by Natasha Pulley – In what I feel can only be described as historical fiction infused with magical realism, this was one of the most interesting books I read this year. As smuggler Merrick Tremayne is at home, he is summoned to go on an expedition to South America to find quinine to help with malaria outbreaks in East India. What Tremayne and his companions find has them questioning what they know, and how to deal with the world as they have understood and known it. What was clever about this book was that it felt like a historical fiction until nearer the end, when the subtle hints towards the magical realism in the book started to come together. Cleverly done so the reader gets a surprise, I hope that Natasha Pulley writes some more books like this. Rotherweird by Andrew Caldecott – This one, set in a town that lives in the current times but whose lives mimic those of Shakespearean times, made the list for its inventiveness, and clever execution, much like Bedlam Stacks. It is part historical fiction, part fantasy, with each section opening and closing with a snippet of the history of the town that history teacher, Jonah Oblong has come to teach in. Cast away from Elizabethan England, Rotherweird seems to have moved on in years but is stuck in a time when a Virgin Queen sat on the throne and a playwright who charmed audiences in the Globe Theatre. It is a place full of anachronisms, cleverly used, and where local history and pre-1800 history is not taught. I look forward to the next book, and what it brings to the mystery and intrigue of this anachronistic little town. Of course, there are many more that I loved, but these are amongst my favourites and the ones that made me think and that offered something a little bit different to some other books out there. Bring on 2018! Synopsis: A breathtaking, enchanting new series by debut Australian author Jessica Townsend, about a cursed girl who escapes death and finds herself in a magical world – but is then tested beyond her wildest imagination. Morrigan Crow is cursed. Born on an unlucky day, she is blamed for all local misfortunes, from hailstorms to heart attacks – and, worst of all, the curse means that Morrigan is doomed to die at midnight on Eventide. It’s there that Morrigan discovers Jupiter has chosen her to contend for a place in the city’s most prestigious organisation: the Wundrous Society. In order to join, she must compete in four difficult and dangerous trials against hundreds of other children, each boasting an extraordinary talent that sets them apart. Except for Morrigan, who doesn’t seem to have any special talent at all. To stay in the safety of Nevermoor for good, Morrigan will need to find a way to pass the tests – or she’ll have to leave the city to confront her deadly fate. Morrigan Crow, daughter of Corvus Crow, an important official of Jackalfax, is cursed. Born on Eventide, she is set to die at midnight when she is twelve – except Eventide has come a year earlier, and with it, a mysterious stranger who whisks her away from a family that has tried to distance themselves from her and the hounds made of black smoke that hunt cursed children. This figure. Jupiter North, is a citizen of the safer and magical city of Nevermoor, where she will enter a series of trials to determine whether or not she gets a place in the coveted Wundrous Society. To pass, it is said she must exhibit an extraordinary talent – but what talent does Morrigan – known as Mog to Jupiter – have? Jupiter whisks her away in a mechanical spider, and travels to Nevermoor, where everything is colourful, and nobody fears Morrigan. A cursed child, once blamed for all that went wrong, must now find her place in this new world, against a threat that wants to engulf Nevermoor, and use Mog for his own means. Together with Jupiter, his nephew Jack, her new friend from the trials, Hawthorne and a Magnificat named Fenestra, who runs the Hotel Deucalion, Morrigan will find her place and push through the trials, lest she be forced to return to Jackalfax and meet her fate there. But what does Jupiter North have up his sleeve? And is the grey, ghostly man she keeps seeing just an assistant, or somebody more sinister, who wants Mog for himself? Nevermoor is the kind of novel that once you start it, it’s impossible to put down, and the decision to devour it or savour it is a very hard one to make. I wanted it to last forever, and at the same time, find out how Mog got through her trials. With so much to discover about Nevermoor and the Hotel Deucalion, where I now would love to stay, and see the growing chandelier, I hope the next book in the series reveals more about the world to readers. There are many amazing and interesting characters in Nevermoor. And Fen, the Magnificat who runs the Hotel Deucalion became my favourite – she refused to take any of Jupiter’s nonsense, which seemed to delight and encourage him – much like a beloved Headmaster in Harry Potter, Dumbledore – and though she showed a tough exterior, she truly cared for Mog and those who stayed at the hotel. Each chapter was full of excitement and delight as Morrigan encountered a world where umbrellas help you travel, Santa, or Saint Nicholas and the Yule Queen are real, and bring Christmas delight to an already wondrous town. It is too hard to choose a favourite scene or chapter as they were all so enjoyable, and I do look losing myself in Mog’s next adventure when it comes out. Nevermoor is aimed at readers aged from nine years, and can be enjoyed by anyone who loves a good fantasy adventure, where the world isn’t always what it seems, and your friends are your family. Step boldly, and enter the world of Nevermoor. Don’t forget to pick up your umbrella!